Not all real estate markets are created equal, and although most markets are still down many are in fact on the the upswing. The market in your own back yard may not be the best market to be acquiring investment property in. In fact certain indicators could have your own local market in a hold or sell cycle and not a buy cycle. One thing that real estate investors every where have learned from the recent economic crisis is that markets do not always go up.. Markets likewise never stay down forever, the trick is knowing what stage your market is in. Understanding market cycles is critical for investors to determine the best real estate markets to be investing in. If you understand real estate cycles you will understand if your market is over priced and that it is a good time to sell. You will also know if your market is under priced and a good time to buy. What savvy real estate investors have learned is that if their local market is in fact over valued it makes much more sense to focus on markets that are under priced and acquire investment property there. Savvy corporate investors such as REIT’s ( real estate investment trusts) have proven this as they invest their money not just in one city. The managers and directors of the REIT’s look around the U.S. for the best trending investment property markets and sectors.. Individual investors are now also following the path of the institutions and studying the markets that offer an advantage and greater upside.. Determining the best investment property markets means understanding and weighing leading indicators. Certain micro and macro economic variables when analyzed properly become predictors of real estate market trajectory and health. 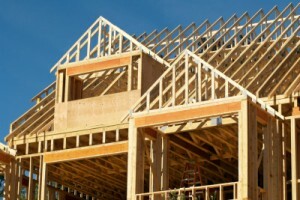 Some of the variables that can offer insights into markets on a micro level include existing home sales, building permits, mortgage loan defaults, foreclosure sales, unemployment rate, job growth rates, median income growth rates, population growth and housing affordability ratio’s just to name a few. On more of a macro level the expansion and contraction of the economy, consumer confidence, inflation, interest rates and changes in tax laws can all effect supply and demand of real estate. Understanding the relationship between different variables can answer many questions for real estate investors and help identify trends in local real estate cycles and the best investment property markets. Trends in local real estate markets are not random events that occur by accident. They are instead often predictable circumstances which can be measured by certain leading market indicators. Understanding these indicators helps investors see supply and demand imbalances in the marketplace as well as insights into what stage the local market is in. What complicates the matter however is that at certain points in time these indicators can be exerting a negative effect on real estate prices while others are exerting a positive effect on real estate prices. In future articles we will go into more detail on these indicators and their impact on real estate cycles. We will also periodically review and offer insights into certain markets as to their viability and buy/sell grades. If you would like to learn more about how to identify trends, cycles and the best markets for real estate investment visit our Housing Alerts section. 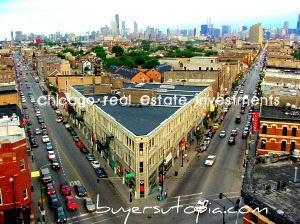 You will learn how a Harvard MBA & CPA is able to identify the best real estate investment markets. Very insightful post that is the main foundation for true real estate investors. I’m really looking forward to the continuation of this series on understanding these topics on a deeper level. Your readers will hugely benefit from learning about spotting the true cycles of real estate and understanding when to jump in or jump out of the investment property game. I’ve subscribed to your posts. If you understand real estate cycles you will understand if your market is over priced and that it is a good time to sell. In today’s market there are more all of outside factors that influence the market, poor political policy, tighten of lending, ect. This is priceless information. 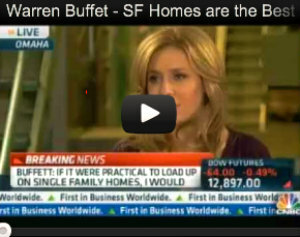 Not only for investors, but also for individual home buyers and sellers. Keeping an eye on the market in any given area can save you a great deal of money. Nice post! Yeah, I agree. Studying those markets will put you way ahead of the competition and keep your family in the positive net worth column. Knowing that commercial trends trail residential by 2 years is another great thing to know: looks like commercial may be poised for some great short sale and foreclosure opportunities to well-qualified investors. Out here there are definitely areas you would not want to invest and others that have massive cash flow potential. The thing is that they are only a few miles apart. It pays to ask someone in the know! This is great information for investors. Thank you for providing. Great article. Our Northwest Florida real estate market hit the bottom in late 2009 and we began to see price appreciation and a reduction in housing inventory right up through June of ’10. At that point the negative news of the Gulf oil spill scared buyers away. Interestingly enough, savvy investors began entering the market just as it looked like the oil well was capped and they have been buying up the bargains. We should see our market normalize in the next few months as the low hanging fruit is taken out of the market. Great Post and very true! I work in an area of Southern California where it may not be the absolute best time to invest yet….prices are still a bit higher than other surrounding areas and most investors can acheive a positive cash flow right now (but it’s a great time to invest in a primary residence if this is the area you want to live). Just 30 minutes outside of Orange County in Riverside, Corona, San Bernardina, etc positive cash flow is very attainable! I have investors getting 13-14% on all cash deals and its only 30-40 minutes away…. Great article for buyers and sellers! Our Vancouver Real Estate Market prices are still a bit high, but condos and houses are still selling! We’ve also had a lot of product come onto the market in the last 1-2 months, which has turned the market into a “buyers” market. With planeloads of asian investors coming to park their money in Vancouver Real Estate. We also have the new mortgage rules taking effect mid March, which probably also has to do with the surge in buyers in the market.